As a certified nursing assistant (CNA), you’ll wear many hats. Though your primary role will involve basic nursing care to patients, you’ll also assist them with personal activities such as bathing, dressing, eating, and mobility. Other duties will include taking vital signs, collecting information related to the treatment plan, examining patients for bruises, turning or repositioning patients, making beds, and answering patient calls. 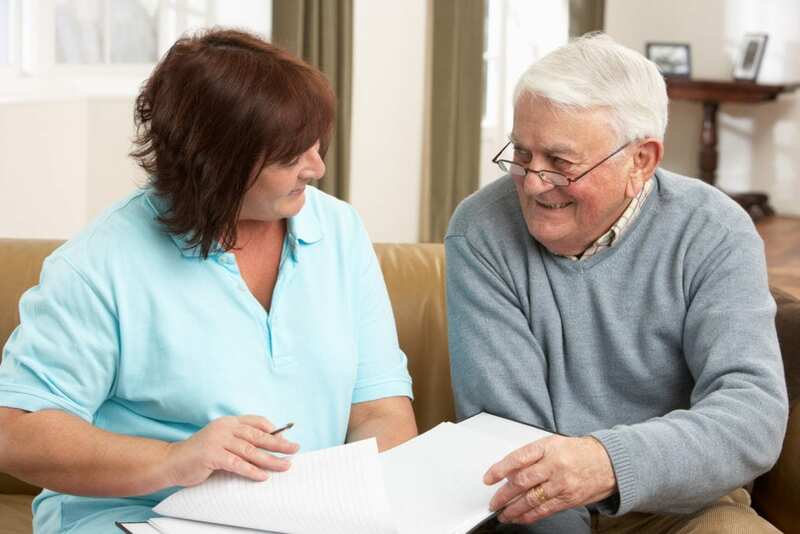 The personal nature of the job requires that you have a compassionate and helpful attitude, as you’ll probably function as the primary caregiver in long-term care facilities. Apart from duties that involve direct relation with the patient, you’ll also perform technology-related activities, including the use the billing software, medical recording software, administration of medication, and computer systems to update patients’ profiles. Note that the administration of medication will depend on your level of training and state guidelines. All your activities will be conducted under the direction of a registered nurse or licensed practical nurse. As a conduit between patients and your supervisors, you must have excellent observational skills to track changes in patients’ physical or mental health and excellent communication skills to report concerns to doctors or nurses. The short-term CNA training is an excellent way to gain some experience in healthcare or prepare for a career in nursing. Training includes basic nursing theory in the classroom and hands-on clinical work. Upon completion of the training, you’ll be required to complete the State Board Exam to be added to the Virginia Nurse Aide Registry. The Nurse Aide Program at Excel Health Institute combines theory and practical instruction to prepare students for employment in nursing homes, assisted living facilities, hospitals, home health care and other health care settings. Experienced instructors will cover theory and practical instruction in personal care and grooming, turning bedridden patients, safety awareness, observation and reporting, infection control, range of motion exercises, Alzheimer’s care, measuring and recording vital signs, laws and ethics, and patients’ rights and independence. Students must attend all classes to be complete the nurse aide training requirements for certification in Virginia. Graduates will receive a certificate of completion and will be eligible to sit the Nurse Aide Exam for certification by the Virginia State Board of Nursing. Excel offers small class sizes and flexible schedules to help students achieve their personal career goals. Flexible morning and weekend classes are available. The morning class meets Monday through Friday for 4 weeks. Weekend classes meet Saturday and Sunday for 8 weekends. Tuition costs $600. Lab supplies, textbook, handouts, blood pressure cuff, ID badge, clinical uniforms, stethoscope, and professional liability insurance cost an additional $295. Care Perfections Nurse Aide Program is accredited and approved by the Virginia State Board of Nursing. The program includes didactic instruction in the classroom and practical experiences in a skills lab and skilled nursing facility to prepare students for success on the state certification exam. Course topics include but are not limited to personal care procedures, elderly care, coping with patients and their family members, roles and responsibilities of the nurse aide, nutrition, fall prevention, oxygen therapy, monitoring vital signs, and ambulation. The program is designed to be completed in 5 to 10 weeks based on the schedule. Graduates are eligible to sit the state exam to become a Certified Nurse Aide. The test is conveniently administered on-site. Tuition for the program is $590. Other expenses include stethoscope and blood pressure cuff, lab supplies, liability insurance, textbooks, uniform, and application fee. A flexible payment plan is available for all students. Ultimate Health School’s CNA program includes theory, lab skills, and supervised clinical experiences in infection control, safety and emergency procedures, personal care skills, basic nursing, quality improvement, communication, and basic restorative services. Students must complete the required 130 instructional classroom and clinical hours to receive a certificate of completion. The curriculum is designed to be completed in a few short weeks, but it covers all that students need to succeed on the state board certification exam and function effectively as a Certified Nurse Aide. Morning and weekend schedules are available. The morning schedule meets Monday through Friday from 9:00 am to 5:30 pm. The weekend schedule meets Saturday and Sunday from 9:00 am to 5:30 pm. Tuition for the program is $600. Additional expenses include liability insurance ($30), technology fee ($175), and NACES fee (95). Birmingham Green provides a Nurse Aide Training Course on an as-needed basis. The program is available several times throughout the year and tuition is free to members of the community who are interested in pursuing a career as a Nurse Aide. The class size is limited to 10 persons. The five-week program includes theory, lab skills, and clinical practicum in accordance with state laws. Classes meet Monday through Friday from 7:00 am to 2:00 pm. Have valid documentation of eligibility to work in the United States. Though the training is free, students must purchase uniforms and white shoes. Books and materials will be provided by Birmingham Green. The high-intensity nurse aide program at Gee’s Career Training Institute covers 130 hours of theory and practical instruction. Through 60 hours of classroom lectures, 30 hours of skills lab, and 40 hours of supervised clinical experiences, students will develop the skills and knowledge to pass the State Board Exam and work as a competent member of the healthcare team. Course topics include basic nursing skills, personal care skills, restorative treatments, communication and interpersonal skills, nutrition and feeding, safety and emergency procedures, infection control, and observation and reporting. Instructors use multi-media experiences in the classroom, hands-on learning in the lab that includes monitoring vital signs and preventing abuse, and hands-on patient care in a real-world environment to ensure students’ success. To ensure personalized attention in the classroom and clinical site, GCTI limits class sizes to 12 students. Graduates of the State of Virginia approved program will receive a Certificate of Completion to confirm their eligibility to sit the State Board Certification exam. Day and weekend classes are available. Astar Education Institute’s all-inclusive Certified Nursing Assistant program includes instruction in the classroom, skills lab, and supervised patient care experiences under the direction of a registered nurse. Areas of study include basic nursing skills, vital signs, infection control, feeding and nutrition, communication and interpersonal relations, observation and reporting, Alzheimer’s care, range of motion exercises, role and responsibilities of the nurse aide, law and ethics, and hospice care. The curriculum covers a total of 120 hours in 8 weeks. Students meet in the classroom from Monday through Wednesday 9:00 am to 2:30 pm. Clinical times are 6:30 am to 2:30 pm. Job placement assistance is available to all students. Students must be 18 years or older and have work authorization for placement. Ultimate Keeps Home Care offers state-approved Nurse Aide Training to adults interested in a career as a nurse aide. The program covers 120 hours of classroom and clinical instruction in 6 weeks. Morning and evening sessions are available. Morning sessions meet from 9:00 am to 2:30 pm. Evening sessions meet from 5:00 pm to 10:00 pm. Graduates will be eligible to sit the State Board Exam to become a Certified Nursing Assistant.